Mama June Shannon‘s secret to becoming hot? Crunches, sit-ups and strength training with a medicine ball! 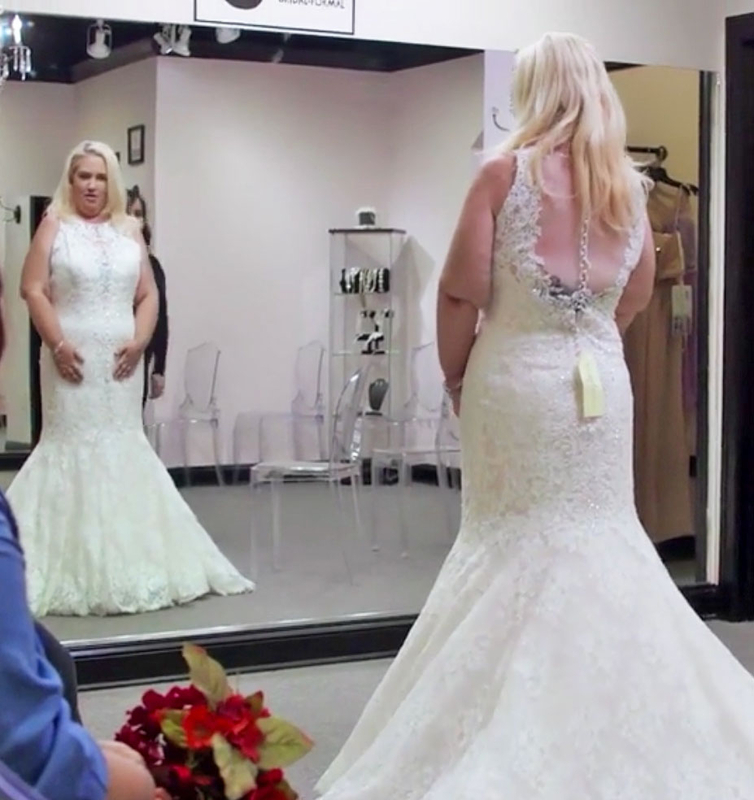 On her WE tv reality series, Mama June: From Not to Hot, Shannon documents her journey from 460 pounds to a size four. And her trainer, Kenya Crooks, played a big role. The Here Comes Honey Boo Boo matriarch, 37, lost some weight on her own, then decided to undergo bariatric surgery, her daughters Alana Thompson (a.k.a. “Honey Boo Boo”) and Lauryn Thompson (“Pumpkin”) recently told Entertainment Tonight, then decided to undergo bariatric surgery. Post-procedure she tapped Atlanta-based Crooks to help her tone. And the self-described “world’s greatest weight loss expert” revealed their routine to Women’s Health. Two to three times a week, either in person or through Skype, Crooks led Shannon through a series of elbow crunches (a variation where you lift your knees to meet your elbows, then tap heels on the ground), reaching sit-ups (where you reach your arms into the air) and Russian twists holding an 8-pound medicine ball. Check out the full workout in the video below. Crooks also advised Shannon, known for making her family’s beloved sketti, a mix of spaghetti noodles, heaps of butter and ketchup, on her diet.